Lisa’s unreasonable fear of the bleak hills of the peak district became a reality when she embarked on an adventure which went horribly wrong. Having been persuaded by her boyfriend to accompany him on a caving expedition, Lisa relived uncanny childhood experiences which had left indelible scars on her memory. 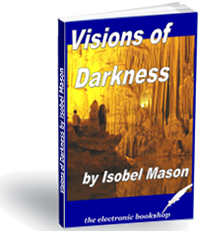 Little did she know that her misplaced faith in Steven would threaten her life as this small group of cavers became trapped by rising floods, blocking their only way of escape.